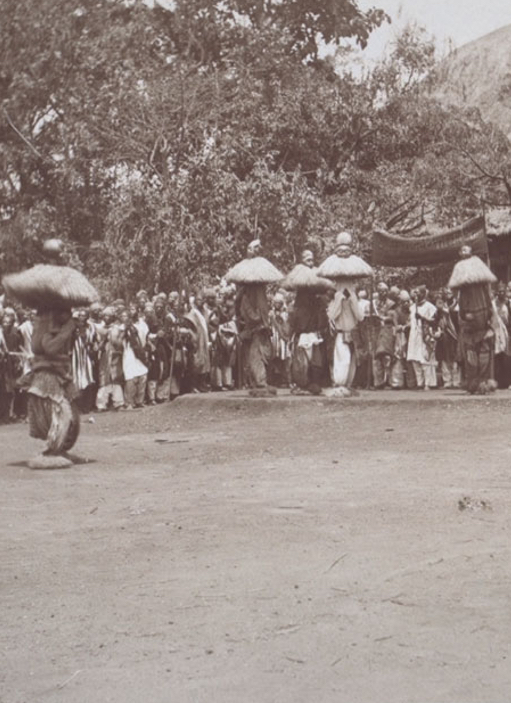 Ritual performance is a crucial sign of non-Western art—it represents the energy source for understanding and approaching the aesthetics of religious world-making. 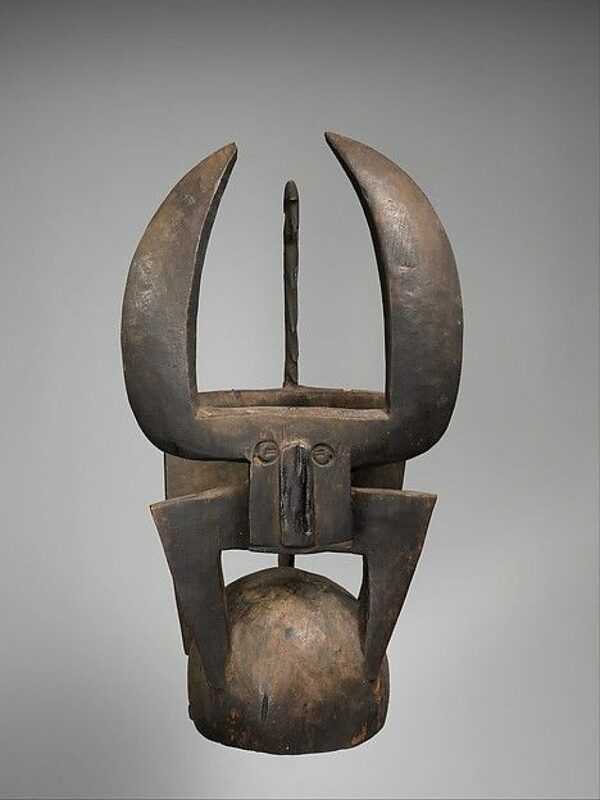 The sculptural and aesthetic dimensions of non-Western objet d’art (ritual objects) must not make us forget the original function of these objects as receptacles for the vigorous spiritual realm. Art occupies a prominent place in ritual performance, a place that is a magical and religious universe in which the knowledge of humans and supernatural activities are intimately linked. It would, therefore, not be strange to say that l’art rituel (so-called ‘tribal art’) is the expression of the essence of art. Supposing that the observation of the ‘real’ and its conceptualisation is the indispensability of art, the perfect harmony between the imaginary and spiritual realm mixes the aesthetic ritual performance of l’art rituel. Here I am, interested in non-Western, mostly African, historical objects—artworks—and their religious-world-making aesthetics. Aesthetics that create and generate worlds of belief and spiritual practices, aesthetics that affect the Western world today. 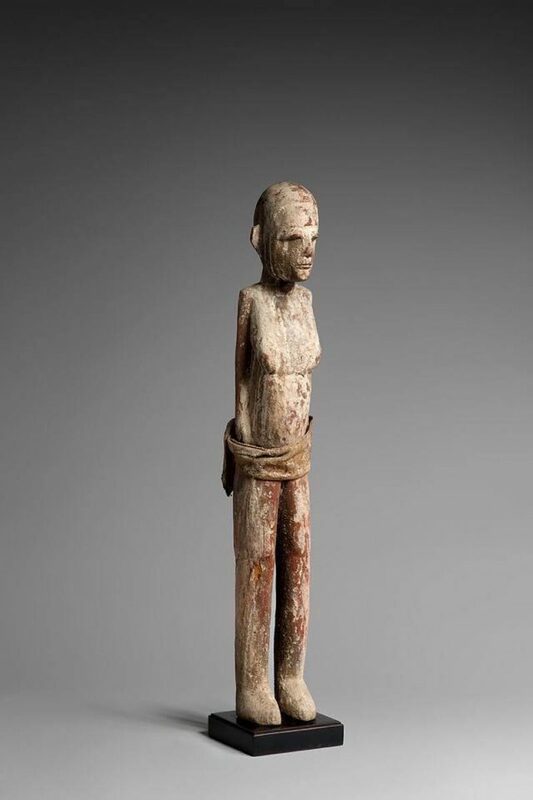 As a religious scholar, I am particularly interested in ‘lived religion’, particularly how people articulate their religious values and beliefs, cosmologies, desires, dreams, fears, death, pain, illness, injustice, bodies and Eros through objects of art. Ritual systems are fundamental and essential drives. They are ways of knowing and acting that help many cope with the mysteries and pettiness of everydayness. It is an imaginative and aesthetical recreation of reality and as such, contributes to the efficacy of the lived ‘real’ presence of the sublime. The contextualisation of experience with a cultural narrative, and/or communal memento understand this double-blind, characterised by the holistic or ecological understanding of the “reality of the real presence of the sacred”. The lived aesthetics of what is baptised as l’art rituel is something embedded and embodied in art. 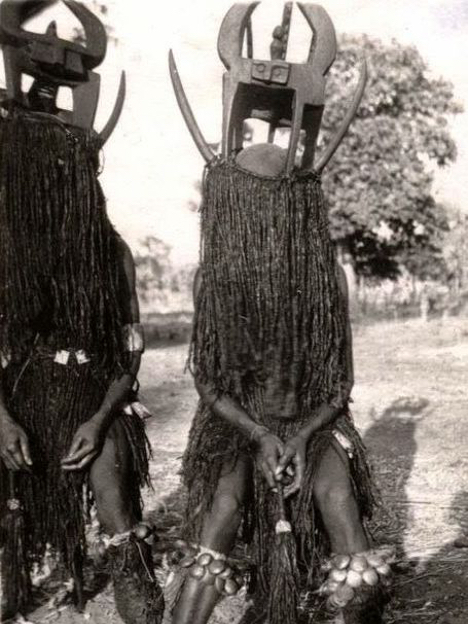 The events of ritual repertoires happen in concrete performances transforming spatial, political, cultural, and social environments, through embodied subjects to ritually experience the ‘real’ presence of the sublime. Objet d’art is infused in magic and used in performative divination ceremonies as part of a ritual or a principle of the ‘real’. 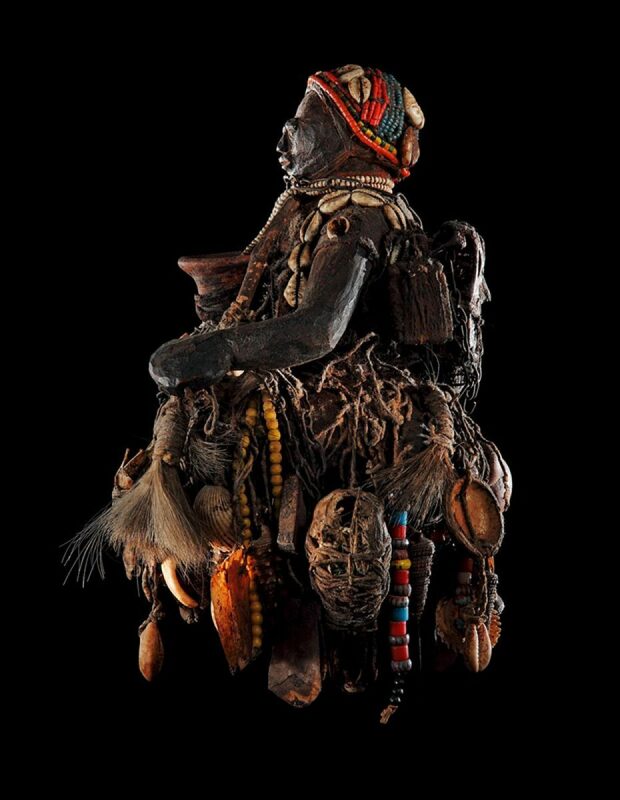 Religious objects, regardless of their aesthetics configuration, must be ritually empowered (usually magically charged) in order to contextualise the power of spiritual and socio-political transformation that is central to communal life. The repertoire of ritual performances changes one’s relationship to time and space, it becomes a catalyst for communal transformation, moral conversion and justice. 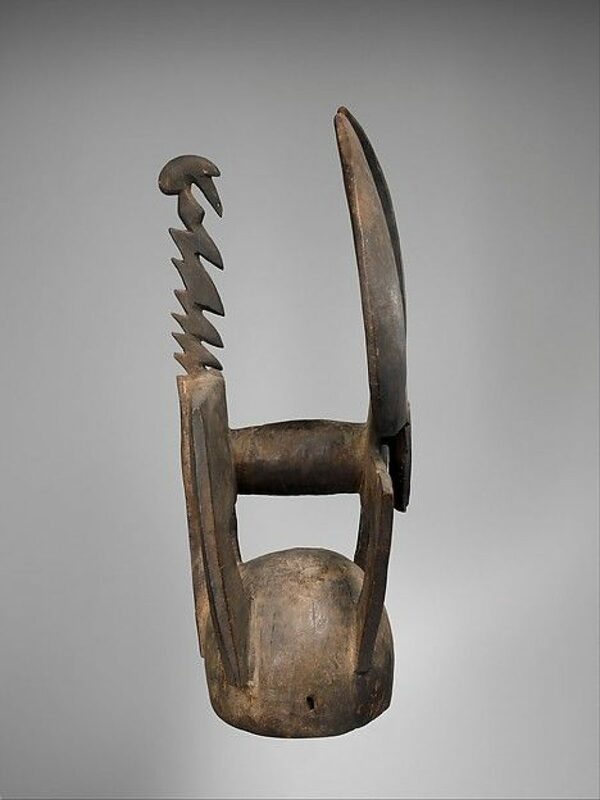 African ritual objects, in their primordial form, are expressions of a worldview, of shared memories and of future projections. The sign of this performative employment of l’art rituel conveys the reaction to the new transformation, consecration, or animation which can only be fully understood by those who have participated in the same ritual experience. In this ritual and theatrical spectacle, the performing participant feels confronted not with something unknown and outward, but by the experimental and inward—a shared togetherness of the community. Divination spectacle as the “event-in-the-make”, demands a “disruption of time, a breaking or shattering of ordinary time” to enter into the theatrical attitude of l’art rituel. For example, masquerades are regarded as instrumental in facilitating the taboos of the inner self, the negotiation of communal identity, and the politico-spiritual systems. 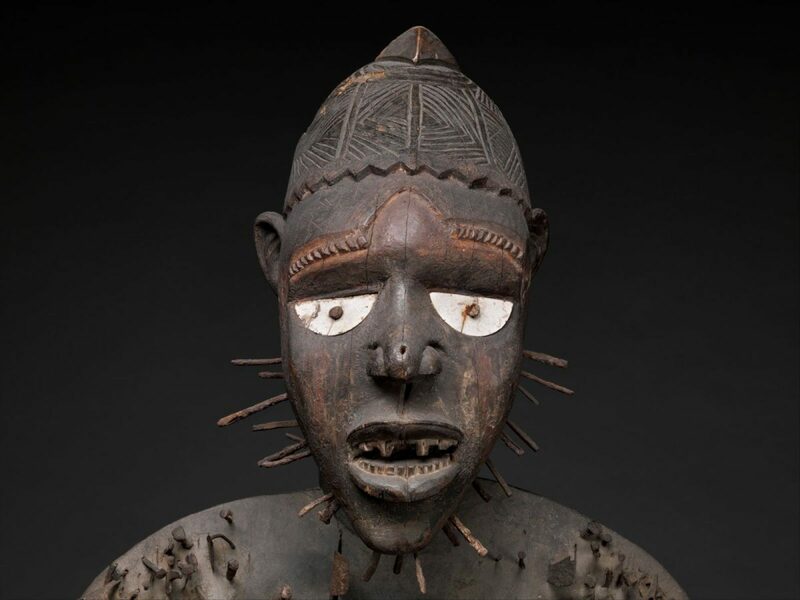 Masks are endowed with considerable spiritual and healing power—it is a spiritual and cultural performance of the imagination where the ‘sacred’ is present. "Masquerade, with a courtier/personal servant of the King"
The 'real' is something beyond comprehension in which language collapses. In short, the 'real' cannot be summarised and totalised. It is a kind of a wow experience. But what is ‘real’ in the context of l’art ritual? How do we experience l’art rituel objects today? 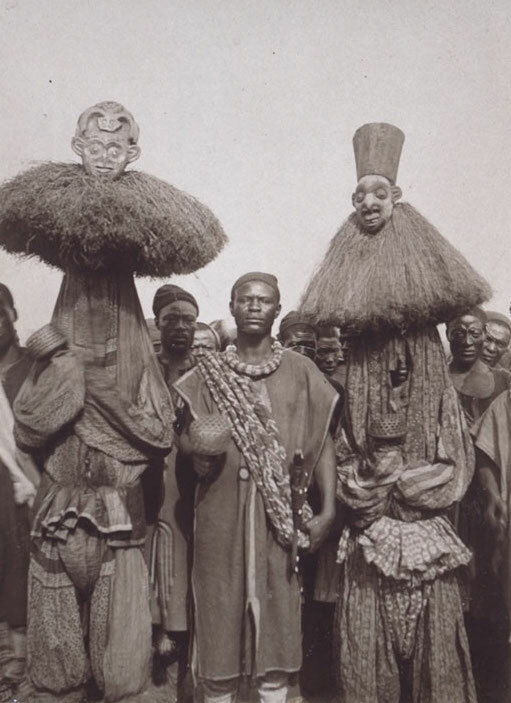 In the following paradox, Roland Barthes’ notion of the present-day art of photography can help us to theoretically grasp the ‘real’ of l’art ritual in African iconography. In the reflections about the inner moral lives in the art of Western photography, Roland Barthes distinguished two essential elements—studium and punctum. The field of cultural interest represented for Barthes stadium, that is the common ground of the spectator’s cultural meaning, the general “contact arrived at between creators and consumers”. Like Jacques Lacan’s ‘real’ that goes beyond language and symbolisation, it is the unconscious that “testifies to a knowledge that escapes the speaking being”. In a way, the ‘real’ is “the impossible” because it is impossible to imagine, impossible to integrate into the symbolic, and impossible to achieve. The ‘real’ is something beyond comprehension in which language collapses. In short, the ‘real’ cannot be summarised and totalised. Barthes’ details piercing and disrupting the studium of the photograph, this is precisely the encounter with the ‘real’. It concerns another system of non-linguistic representation, “not the optionally real thing to which an image or a sign refers but the necessary real thing which has been placed before the lens, without which there would be no photograph”. If we apply Barthes’ typology of punctum to l’art ritual, it carries out the ultimate frame of personal aesthetic experience, enabling the individual to experience the sublime as present. Punctum, as an experience that goes beyond scripted common language and expectations, gives us some hints towards the ‘real’ as the promise of that which resides outside of what is known, repeated, and enforced. Siegfried Gohr points out that when confronted by an African sculpture, what we experience is not so much “the ‘disinterested pleasure’ that is generally associated with the aesthetic experience, as a subliminal sense that we ourselves have somehow become part of the figure’s effect.” Ritually performed, non-Western objects confront us in a radical way—through their cosmic notions and intellectual, magical and spiritual sublimation, they represent in the fullest sense. No matter how we try to comprehend l’art rituel into language, there is always something left, something we have missed out on, something that goes beyond language and representation or what van de Port calls ‘the–rest–of–what–it–is’. In other words, there is always a deposit that cannot be transformed through language. "Let’s get down, to the underground spiritual game." 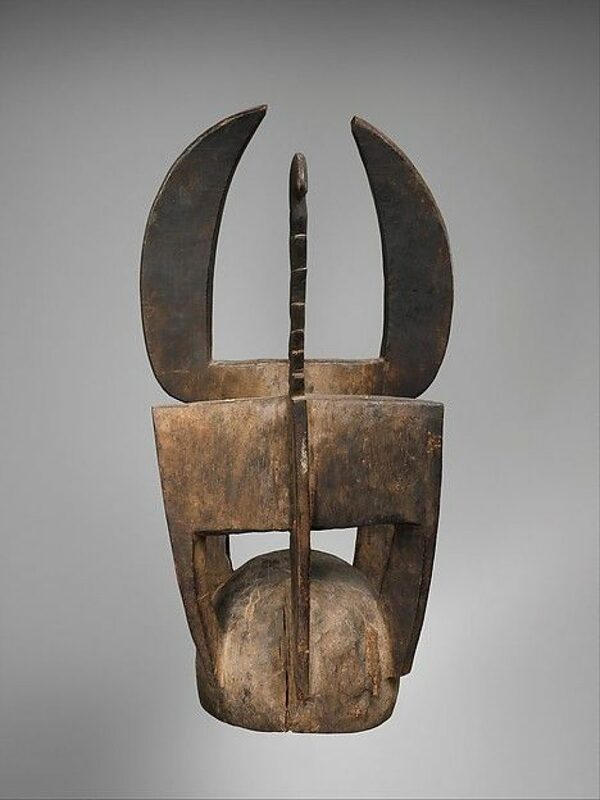 Beyond the symbolic appearance of l’art rituel and its spiritual appeal, we should be aware that there is often the philosophical dimension—the object forms part of a ritual or a principle of the ‘real’. 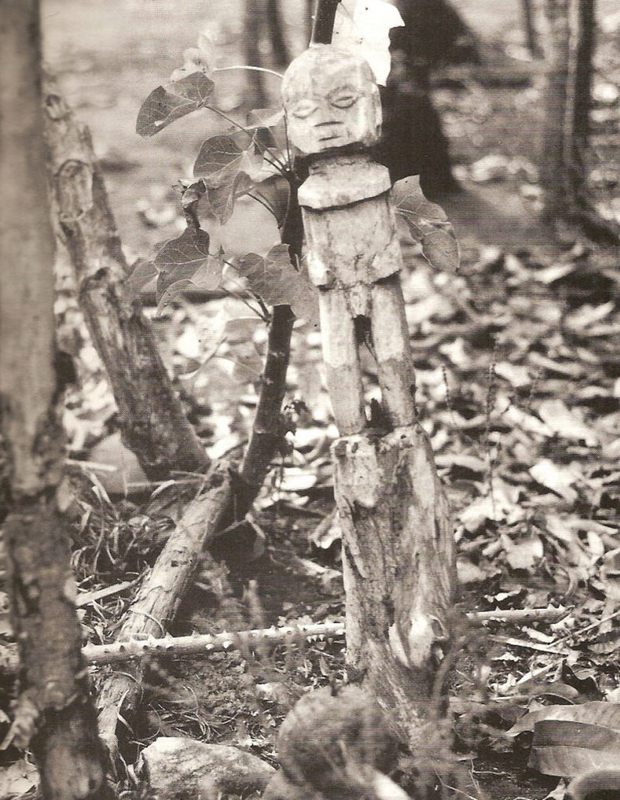 Ritual objects express the philosophical and aesthetical maxim of life. Ritual performance functions as a framework that enables entrusting one’s self to the unexpected, uncharted way of ‘traumatic’ reality in which the sublime emerges. 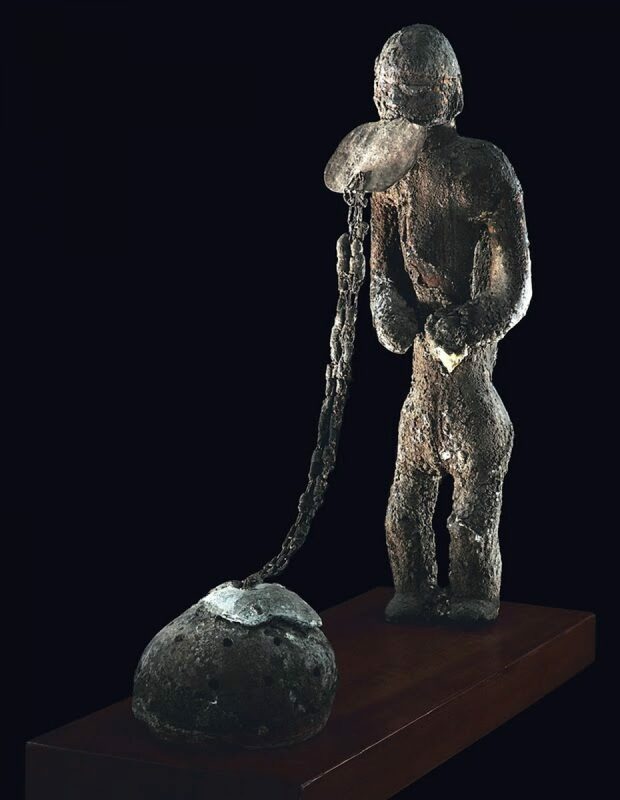 This traumatic and psychological quality of ritual objects or what André Breton calls “revelatory emotions” is evident, for example, in Fon bocio figures that depict the collective trauma and terror resulting from the systematic violence and dehumanisation of the slave trade. Bocio figures and their ‘aesthetic’ codes, therefore, function as the communal articulation of traumatic experiences—they are an important source of consolation, empathy, healing and community building in ritual solidarity. The function of bocio art lies not in the transformative potential of aesthetic encounters but in sacramental and ritual performances for the renewal and rebirth of communal life. They stand out as a true testament to the violent trauma and mysterious regenerative power of the sacred. As Suzanne Preston Blier points out, part of their often deeply disturbing raw aesthetic power and energy lies in the traumatic astonishment of the anti-aesthetics. It, therefore, becomes evident that this experiential level of punctum (“the piercing sensation of being”) requires a dramatic and ‘traumatic’ experience of the sublime. This terrifying quality of sublimity in its radical indeterminacy affects our perception of ritual objects. Have the objects lost their magic or can we still grasp the ‘real’, extraordinary, mysterious, and subtle dimension of l’art ritual? Srdjan Sremac is Assistant Professor at the Department of Religion and Theology at Vrije Universiteit Amsterdam and the co-director of the Amsterdam Center for the Study of Lived Religion at the same university. 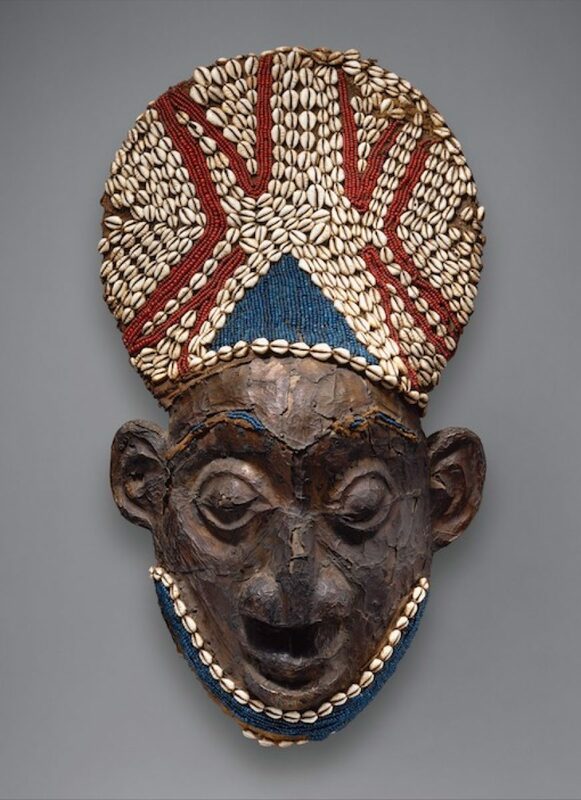 His interdisciplinary research interests include lived religion, religious aesthetics, material religion and African and Oceanic ritual art. 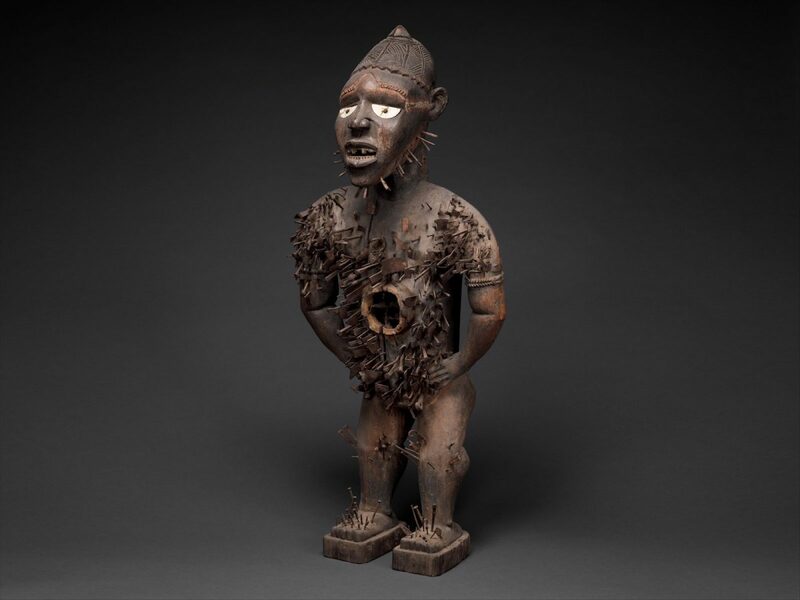 He is also a collector of classical ritual African art.